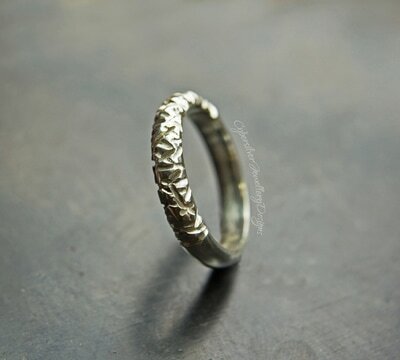 This beautiful wedding ring is a real stunner. 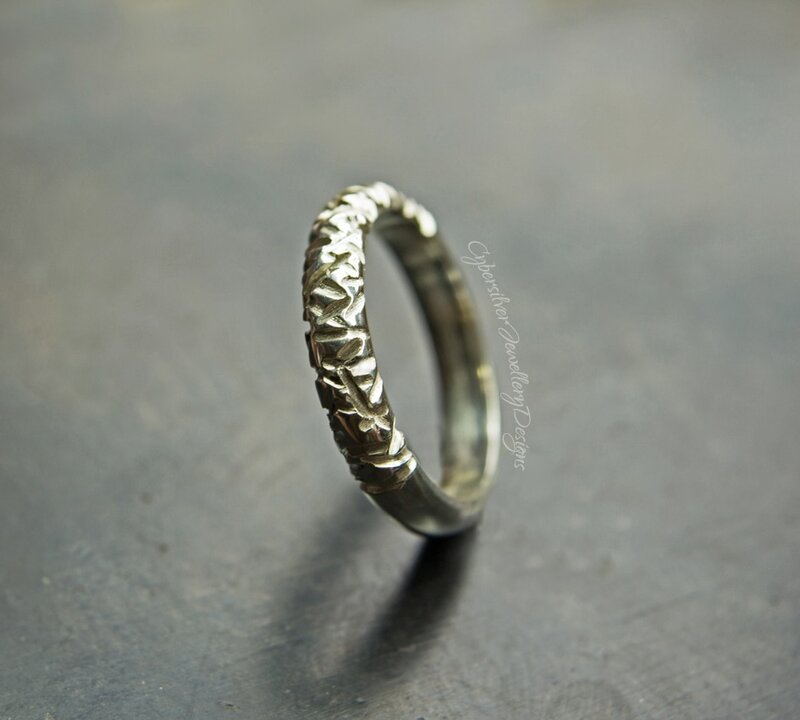 Entirely handmade and forged from thick sterling silver, one half of the band has been given a deep irregular texture and the other half is smooth and polished. 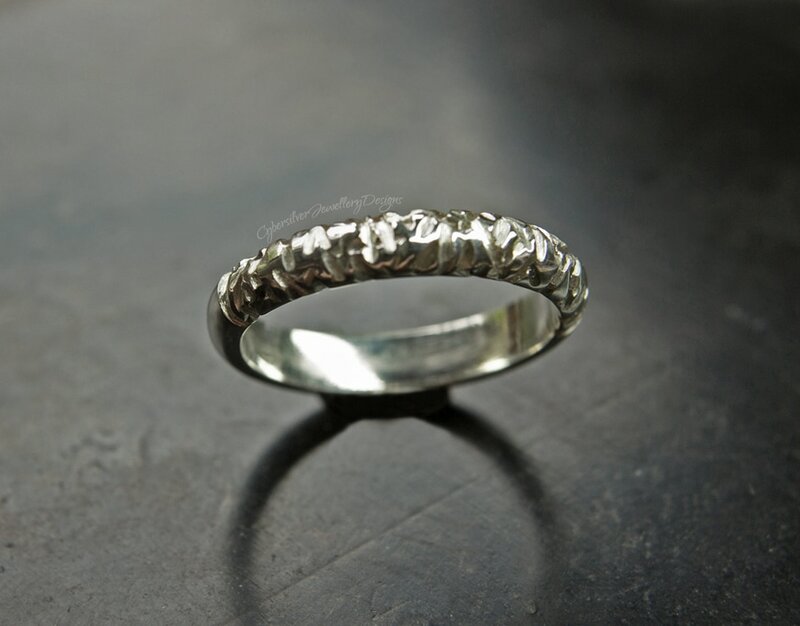 ​This contrast adds a unique dimension to the ring and gives it real sparkle. 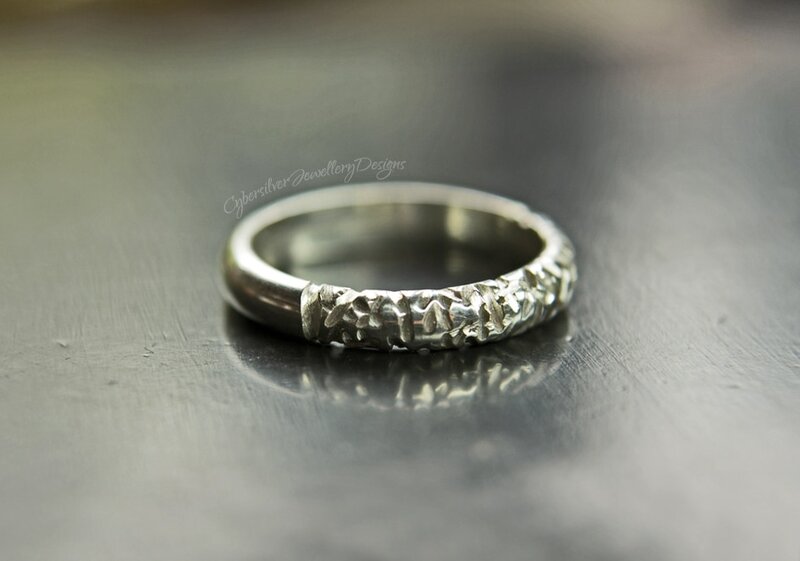 Please note that as the texture is applied by hand, each ring will be slightly different and therefore unique. ﻿As each rings is handmade to order, please allow up to 15 working days for completion of your order. If you require your ring sooner, please message me. Please refer to our ring sizing guide before placing your order.